You can choose from a wide selection of moving, delivery and additional services. Versatile and convenient solutions available at affordable rates. Hello and welcome to Removals Team – a leading professional moving company in London that will provide you with expertly tailored relocation services of domestic and commercial nature. If you have a removal in London ahead of you, you are probably already acquainted with all the stress, strain and hassle managing such a project comes with. But have no fear – with our trained packers and movers by your side you will have a thoroughly pleasant moving experience no matter whether we are talking about home, office or single item relocations in London. Side-services to complement your moving experience with Removals Team – end of lease cleaning, rubbish removals, storage etc. Moving homes is a tiresome and very responsible job. There are dozens of things that you should think about and manage in case you are changing homes, so instead of putting additional pressure on your shoulders, just let our trained certified movers help you with the job. 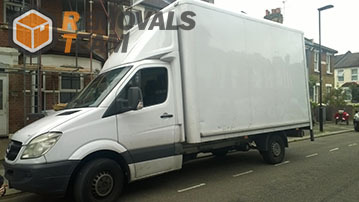 We do domestic removals in London better than anyone else. Our home moving services in London include not only the actual relocation of your boxes, but also assistance with the whole planning and preparation process and more. Get us on board and forget about all the troubles you have come to associate with domestic relocations. You are a phone call away from the best house moving experience of your life, so just dial the numbers. Naturally, we will do whatever is necessary to accommodate you, your employees and partners in an optimal manner. Not only are our moving experts fully licensed to carry out any line of commercial work, but they are also going to do it on a schedule entirely considered in accordance to the specs of your business. This means that we will gladly carry out your London office removal after work hours or over the weekend, so that your company can meet the next day undisturbed and fully operational. Even though when it comes to removals in London we are commissioned to do, we are often talking about full property relocations, smaller projects are not off the table either. We particularly excel at furniture removals. No matter whether you have purchased a whole new set for the living room and you need someone to bring it from the store to your place, or you are relocating the old wardrobe from your place to your sister-in-laws Removals Team is the London moving company that you would prefer to have by your side. Like any relocation job we are commissioned for, we will demonstrate complete professionalism and care while handling your furniture moving task in London. The competitive pricing policy and flexibility of schedule apply here as well. 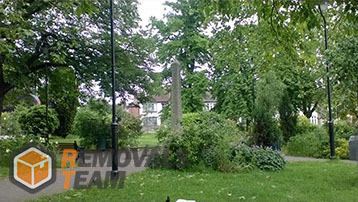 All moving services that are on our list are available throughout the territory of London. Free quotes are tailored for anyone interested upon contacting our around the clock customer support via phone or email. London is probably the greatest city in the world and we believe that by doing what we are doing so well we contribute at least a bit to that greatness. The city and current capital of the United Kingdom was established as a Roman military town in the 1st century BC, though people lived in the area long before that. Over the centuries London saw many great events, including some of the most important inventions in human history – the steam engine, color TV and the first ATM machines were all created here. Today London is a multi-cultural capital with over 8 million people and the largest financial centre in the world. Canary Wharf and the City are responsible for more annual turnover than whole counties in Europe. In addition, London is a recognizable city thanks to the dozens of tourist attractions that are scattered across its territory – Westminster Abbey, Buckingham Palace, The London Zoo are just a few of the most famous sights that have become synonymous with London. West End Theatres have dictated the fashion in the dramatic art for centuries now, and let’s not forget the funky night-life entertainment district of Soho – a place of cult-status in its own right. London something to offer to everyone.